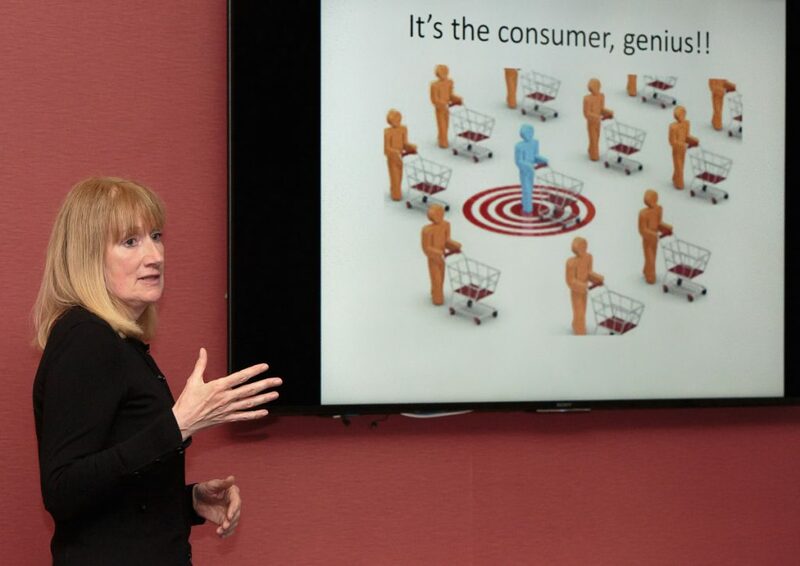 Short presentations have proven popular around the world. So we thought it would be fun to try it with a twist – where no-one knew who the Members speaking would be and they’d each get to present just 10 slides for a maximum of 30 seconds each. Members who wanted to present arrived with a 10-slide presentation on a USB stick. Who got to present was drawn at random on the night. Their topic? 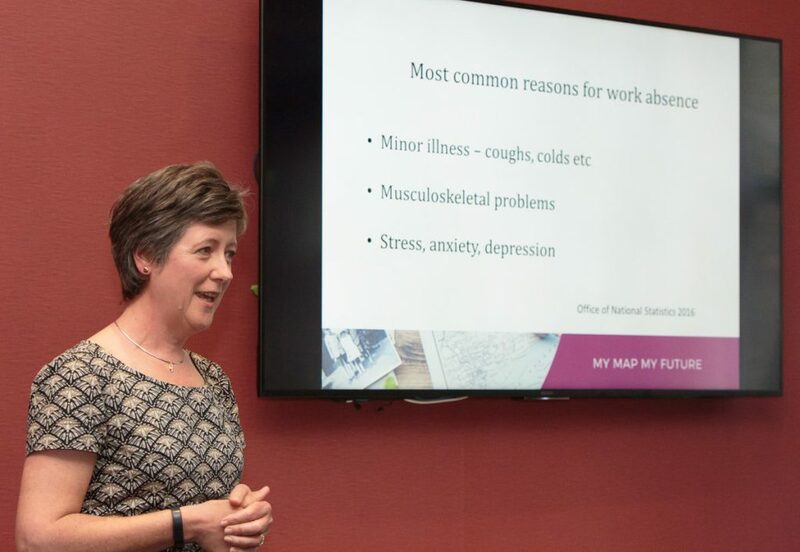 ‘Something you NEED to know for your business’. On the night fortune favoured Members Duncan McIntosh, Amy Anderson, Dr Shona Dobbie, Marie Paterson, Mark Robinson, Andy Simpson, Michael Stephenson, Stephen Westwood, Mike Reynolds and Andrew Stewart. Thanks to them for taking the challenge and sharing their expertise. 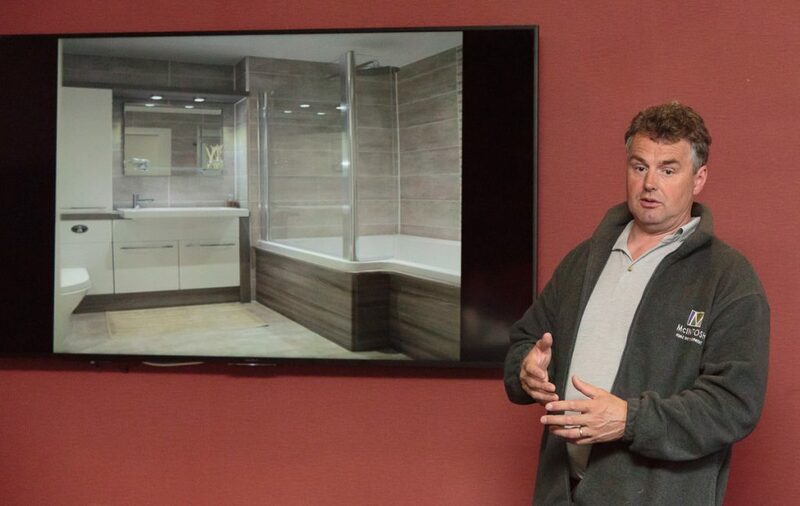 Duncan McIntosh of McIntosh Interiors was first to present. 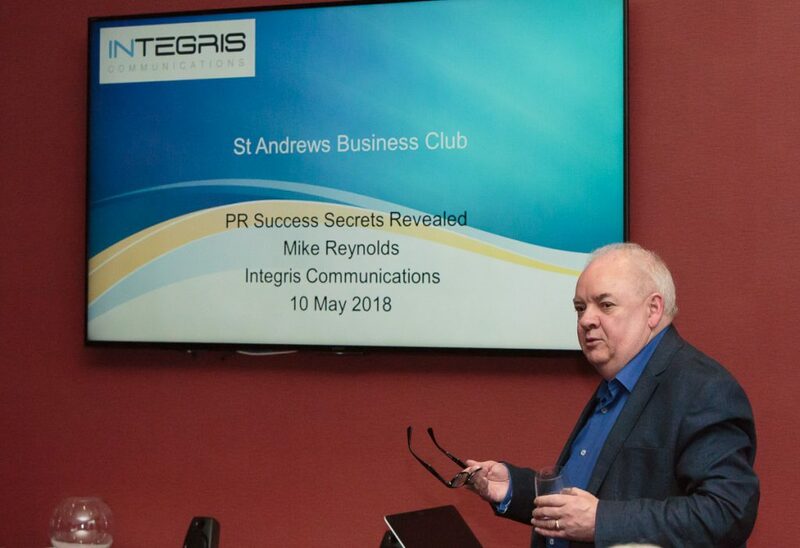 Mike Reynolds of Integris Communications spoke about PR. 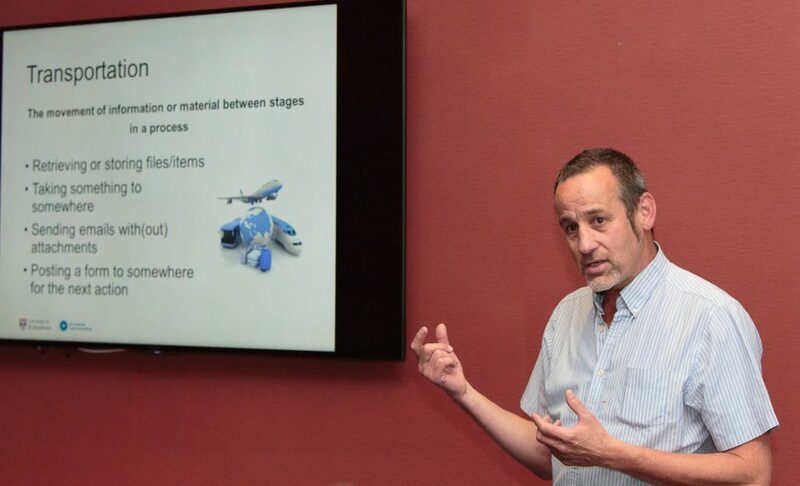 Mark Robinson of St Andrews Lean Consulting explained some of the ideas behind LEAN process improvement. Dr Shona Dobbie of Angus Economics took on the 10×30 Challenge. Club Treasurer, Michael Stephenson of EQ, took on the 10×30 Challenge. 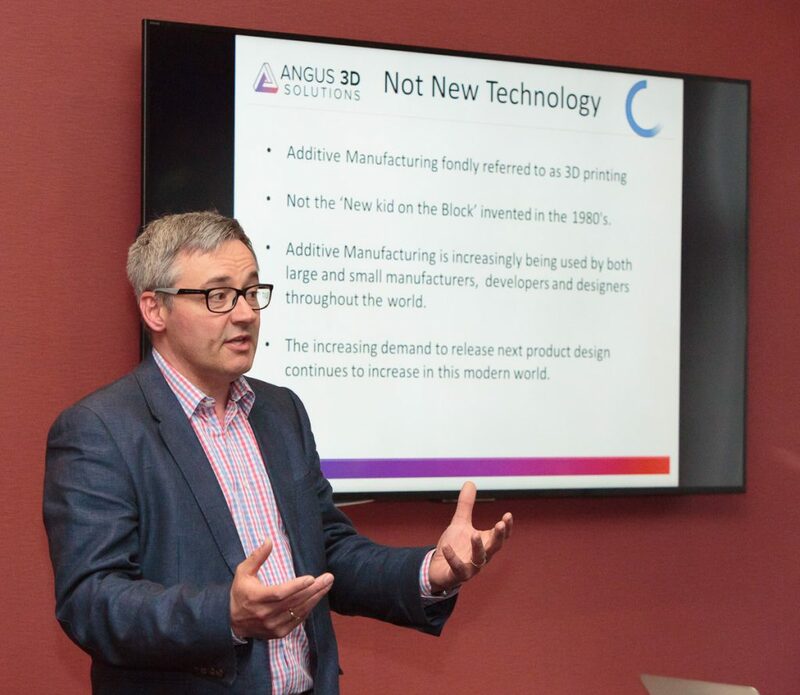 Andy Simpson of Angus 3D Solutions explained additive manufacturing. Marie Paterson of Marie Paterson Development Consultancy took on the 10×30 Challenge. 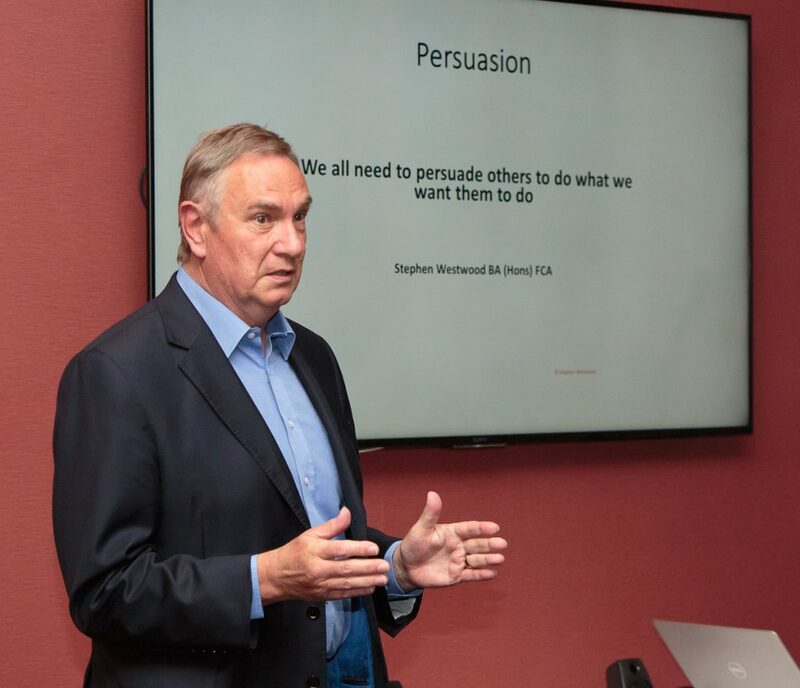 Past President of the Club Stephen Westwood talked about persuasion. 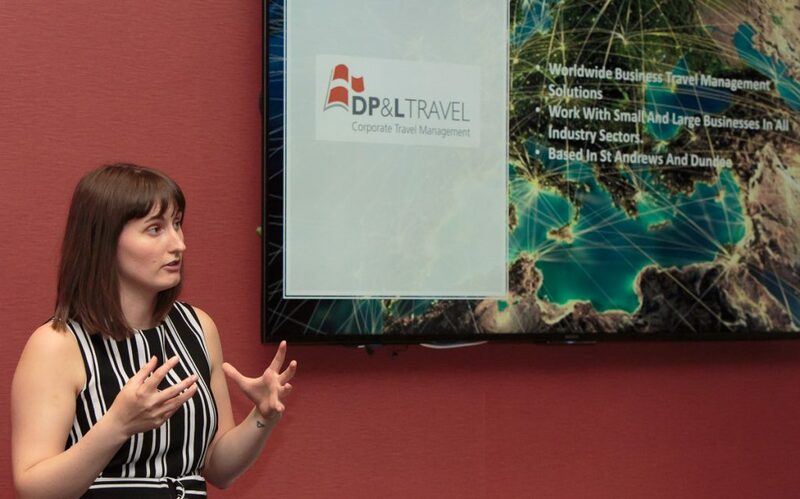 Amy Anderson of DP&L talked about the companies in the DP&L Group. 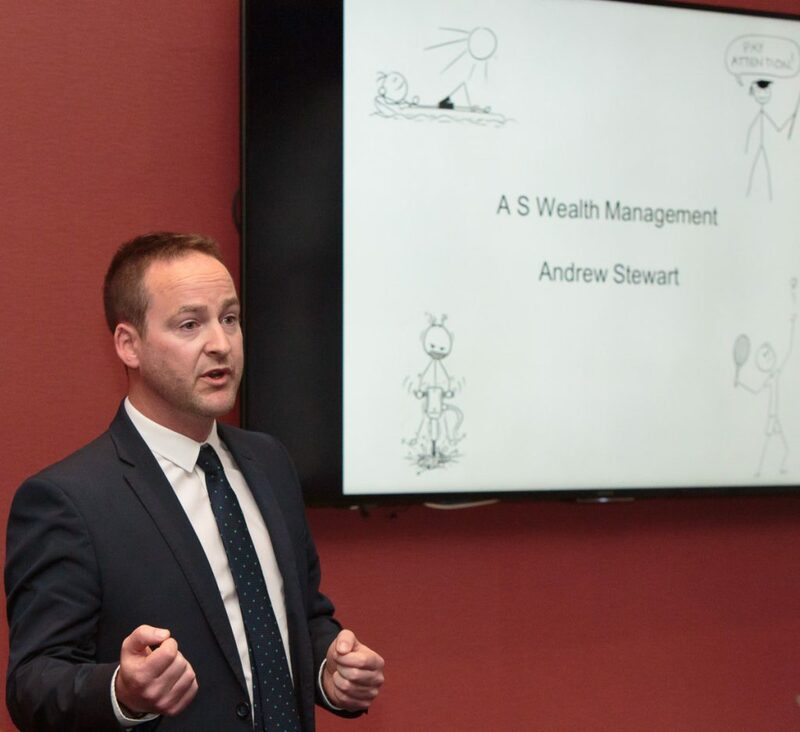 Andrew Stewart of A S Wealth Management took on the 10×30 Challenge. 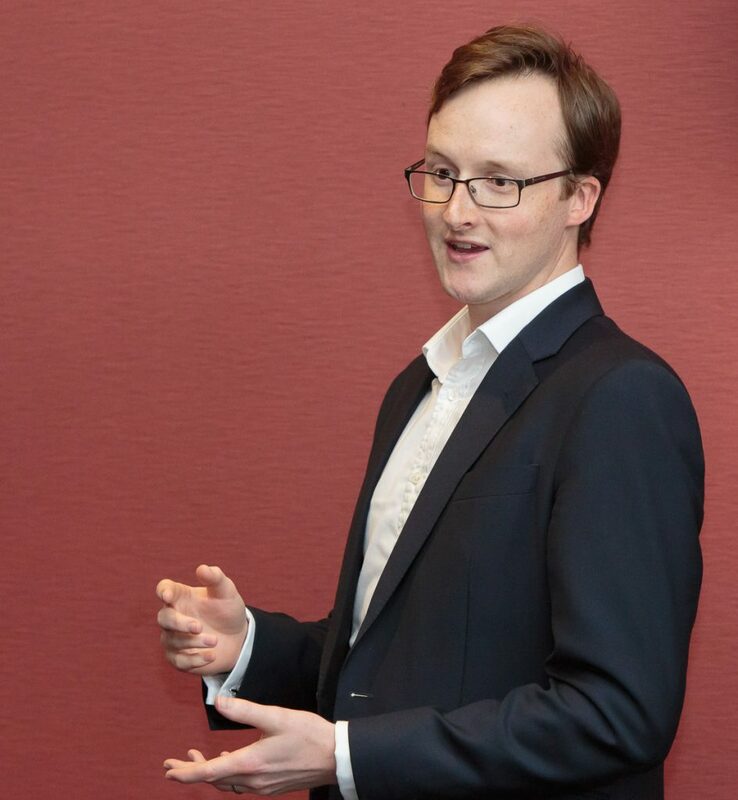 NEXT EVENT: The Club’s next event is May 23: Business Breakfast – Uncovering Mindfulness for Business & Life + Networking, when Paul Mudd, of The Mudd Partnership will explain how mindfulness can help you.